UNFURLED was once called project/yacht name 372. This 34 m (112 ft) luxury yacht was produced at Royal Huisman in 2000. Sailing Yacht UNFURLED is a good sized superyacht. The naval architect whom authored this yacht's plans and general arangement in respect of the yacht is German Frers. The original interior design and styling was the brain child of Andrew Winch / Studio Cerri. Luxury yacht UNFURLED is a well crafted yacht that is able to sleep as many as 6 passengers on board and has a total of 5 crew. 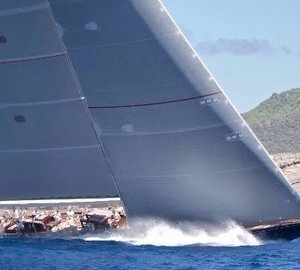 Sailing yacht Unfurled is a racing yacht with German Frers's performance hull form and Andrew Winch's minimalist design built by Royal Huisman Shipyard. "She is timeless and is neither fickle or flashy and she speaks quietly to the yachting world about the meaning of elegance and eternity," said the owner during the launching ceremonies. German Frers was the naval architect firm involved in the professional vessel composition for UNFURLED. Also the company German Frers successfully collaborated on this venture. Interior designer Andrew Winch / Studio Cerri was employed for the internal interior ambience. 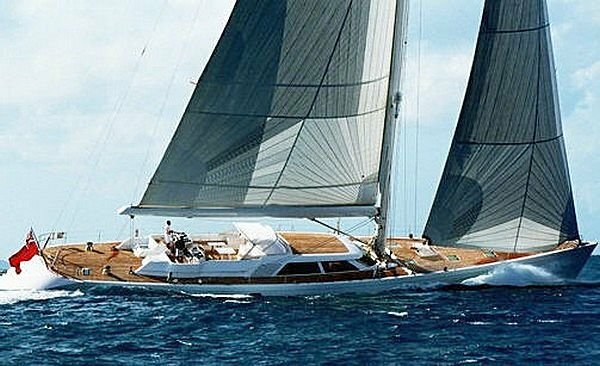 Built at Royal Huisman this vessel was completed in the recognised yachting country the Netherlands. She was officially launched in Vollenhove in 2000 before being delivered to the owner. Her hull was constructed with aluminium. The sailing yacht superstructure is made mostly with aluminium. With a beam of 7.8 m / 25.6 feet UNFURLED has reasonable internal space. A fairly deep draught of 5.8m (19ft) limits the number of overall ports she can enter, depending on their individual depth. The 6R 183 TE72 engine powering the yacht is produced by MTU. She is driven by a single screw propeller. The engine of the yacht creates 415 horse power (or 305 kilowatts). She is fitted with 1 engines. The sum power for the boat is accordingly 415 HP or 305 KW. The bow thrusters are Hundested / Stern: Hundested. Having space for a maximum of 6 visiting passengers spending the night, the UNFURLED accommodates them comfortably. Under normal conditions she carries approx 5 proficient crewmembers to maintain and sail. 34.17 metres / 112.1 feet. Total engine power output 415 HP /305 KW. Her top Speed is around 11 nautical miles per hour. The yacht uses Heinen & Hopman air-con. This sailing yacht has a teak deck.